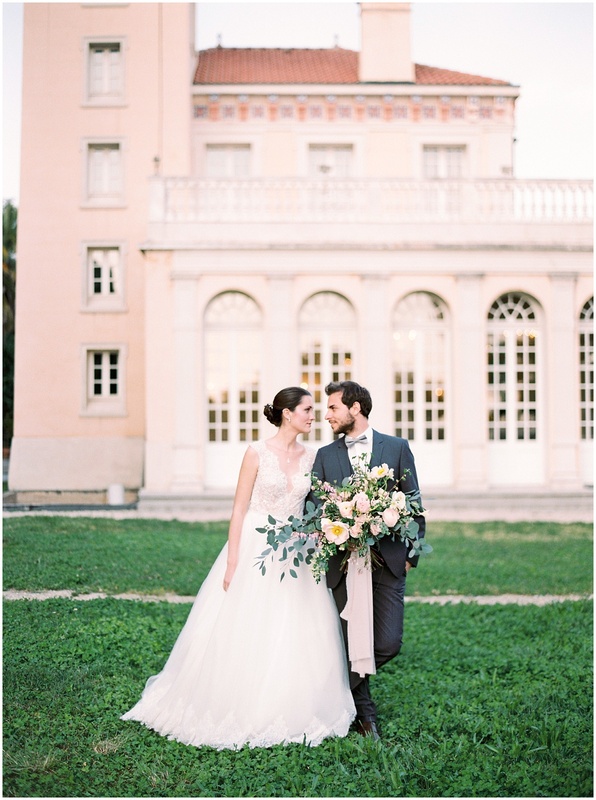 This wedding inspiration takes us to a chic and luxurious place, hidden treasures of the Côte d’ Azur. Château Saint-Georges is a protected monument from the 19th century. Imagine the stories that the walls of this castle could tell us. The Côte d’ Azur has so many treasures to offer. Château Saint-Georges is an excellent example. Queen Victoria herself visited the castle. A true haven of peace that exudes both French refinement and southern serenity. Imagine a second if your marriage could be one of them. Gilding, opulent chandeliers and lush outdoor gardens create the perfect setting for a romantic wedding, large or small. 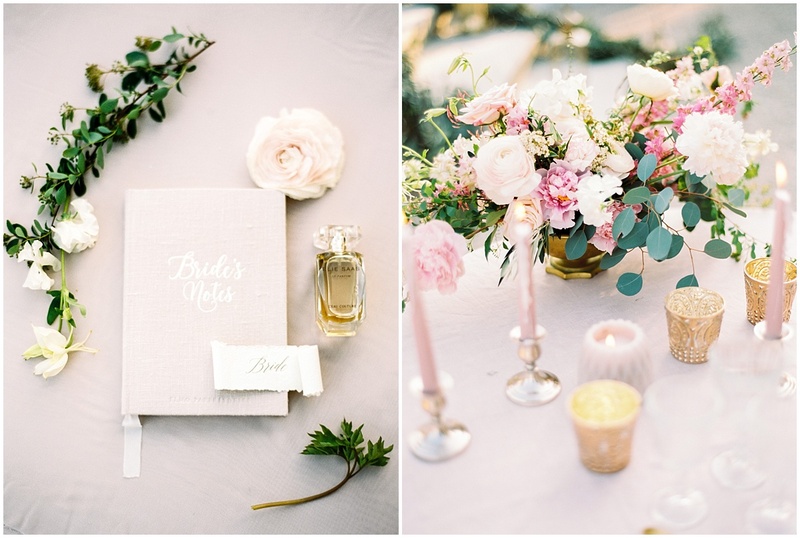 White Eden Weddings has imagined a marriage of soft, pinkish colours with golden accents. Floral arrangements should recall this simplicity and sweetness. And for more emotions, it’s a real couple who took part in the photographer’s game. If you’re dreaming of your own wedding on the Côte d’ Azur, don’t forget to visit my website and my portfolio full of inspirations. In order to enhance the natural majesty of the place, we have chosen to work with a pallet of light colours and textures in harmony with the place. The authenticity of the textures, the light pink underscored by golden notes, in response to the Chateau style. 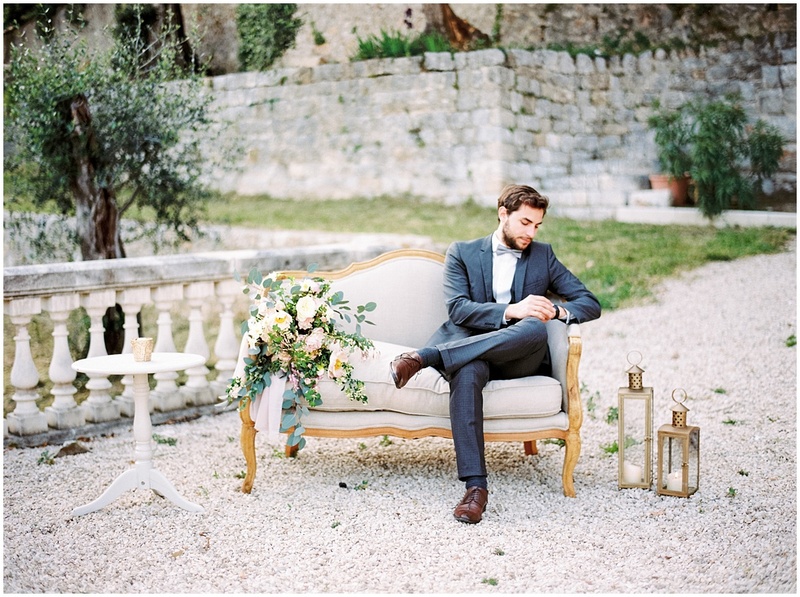 The elegant decoration designed by Mademoiselle Deco illustrates this refined setting. From the personalised countertop to the clean table, the atmosphere exudes simplicity and pure design. For the details and the realization of this project, we trusted Elmo Paperstories who has beautifully hand-drawn a tailor-made stationery suite and reproduced the magnificent Temple of Love of the place on invitations. Mademoiselle Jules has created beautiful flowers that reveal the nonchalant elegance we were looking for, especially with a unique composition on the love table matching the stunning bouquet of the bride. The buttonhole and ornament of the very French wedding cheesecake – which was an important detail for this inspiration of French luxury – were composed of flowers selected in accordance with the environment and the spirit of authenticity that we wanted to introduce. The complicity of the spouses and the groom, who happens to be a couple of real life, brings sparkle of candor to the shooting, enhanced by the simplicity and natural look of the hairdressing and make-up of the bride by Amandine Baron. The elegant diamond jewelry set by the French jeweller Louis Julian adds a touch of finesse. Photographer Christophe Serrano played a key role in capturing the light from the garden to the indoor ballroom, bringing us to the magical moment we had hoped for.